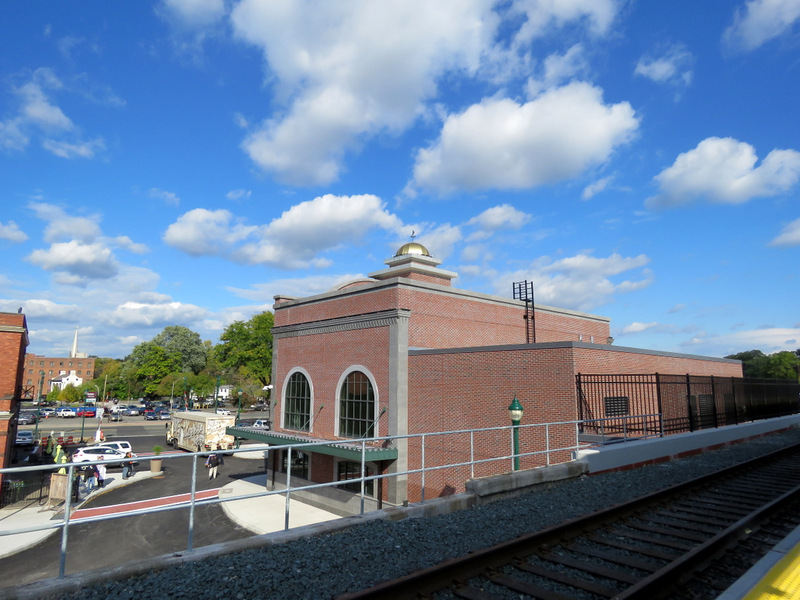 In all stages of its construction, Schenectady’s new Amtrak Station looked especially good under blues skies. 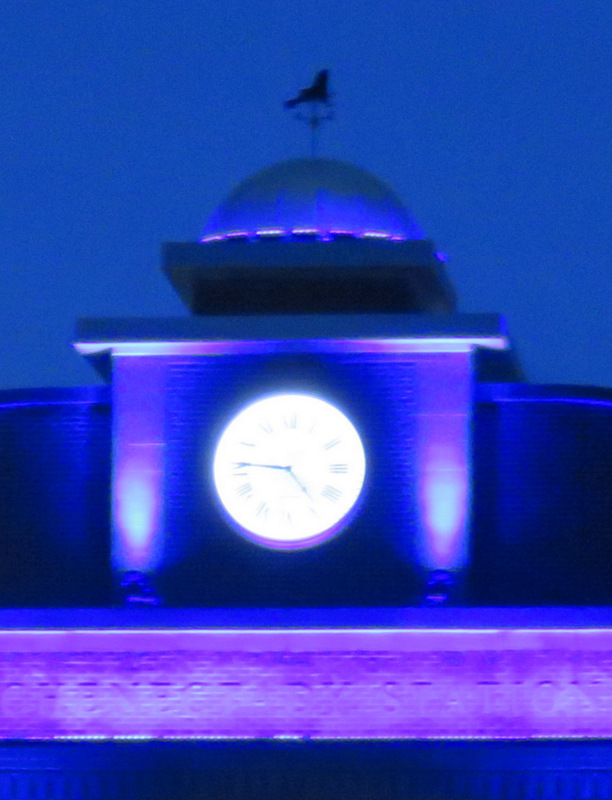 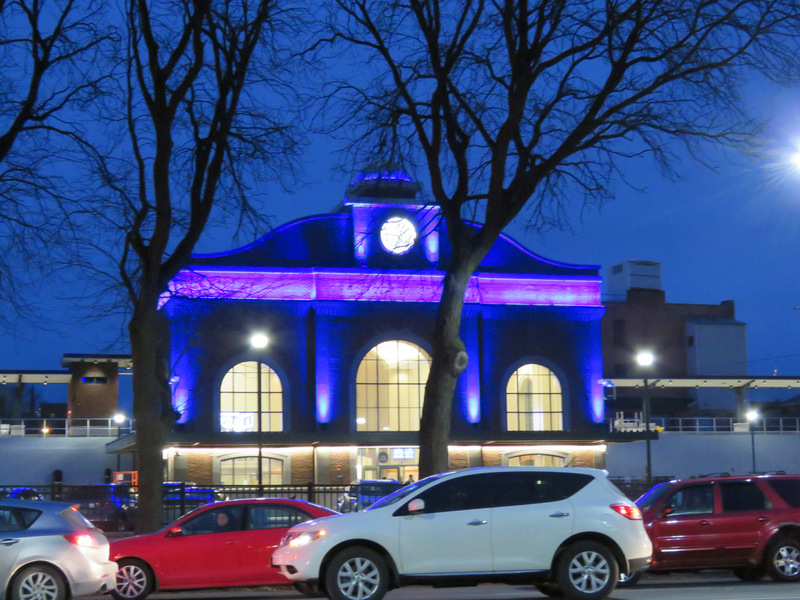 [see https://tinyurl.com/StationDomeClock and provided links] But, I was truly surprised by how much a liked the building at night, bathed in blue light, when I first saw it earlier this month. 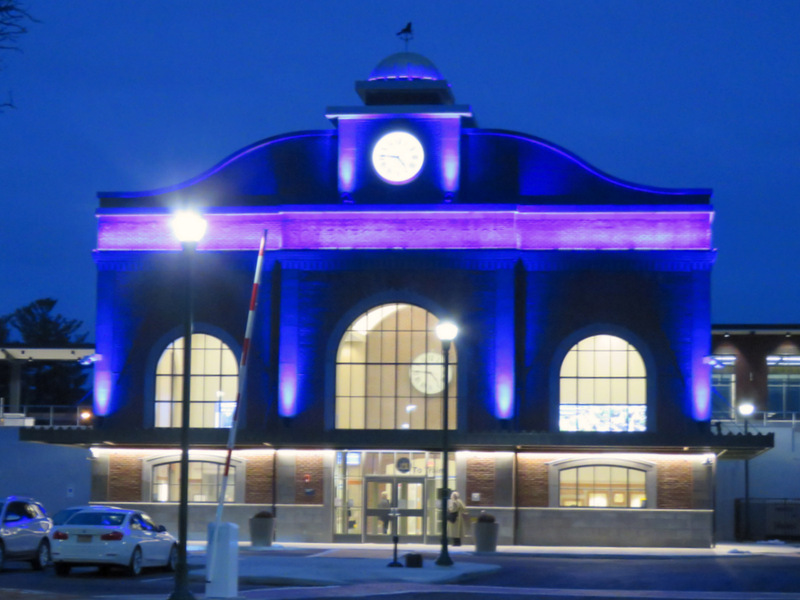 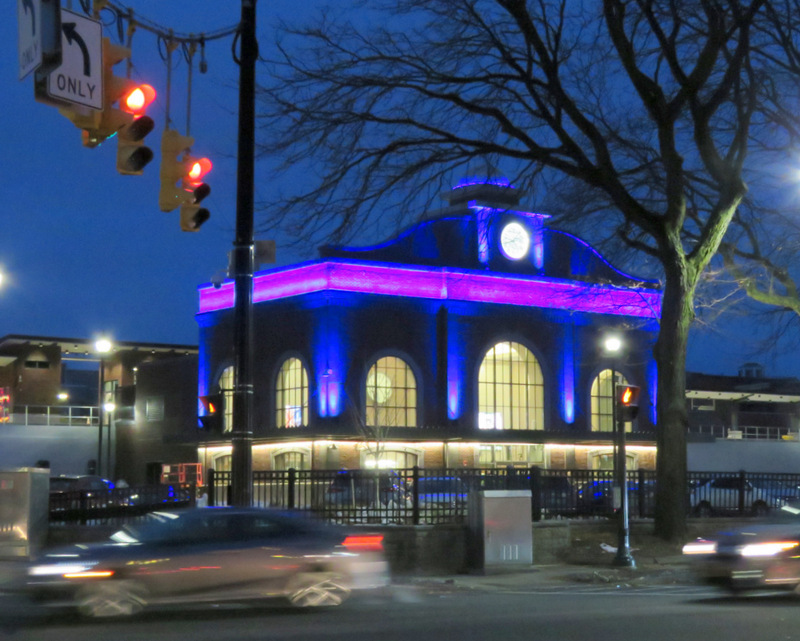 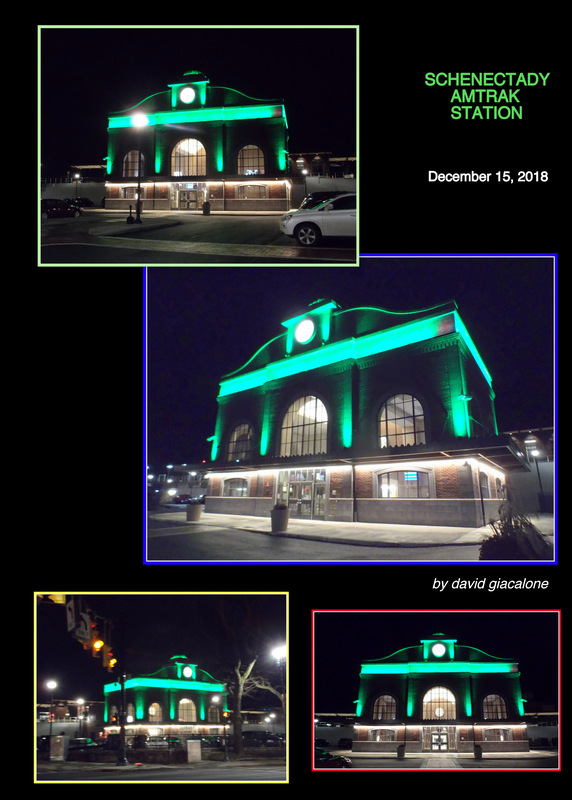 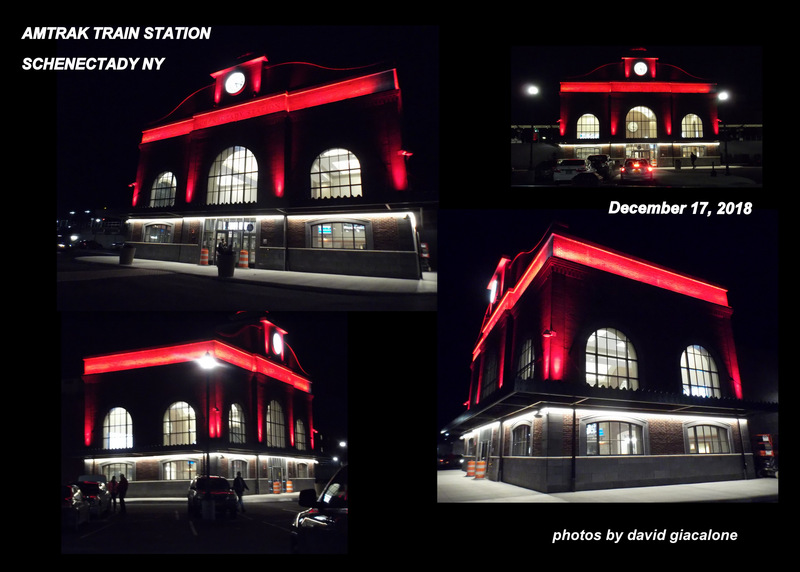 In case you missed Marc Schulz’s front-page Gazette photo on November 23rd, or have not had a chance yet to drive past the New Amtrak Station when its nightlights are on, I’m posting a few images here of the Station with its blue lights on, taken at the end of the afternoon of November 24, 2018. 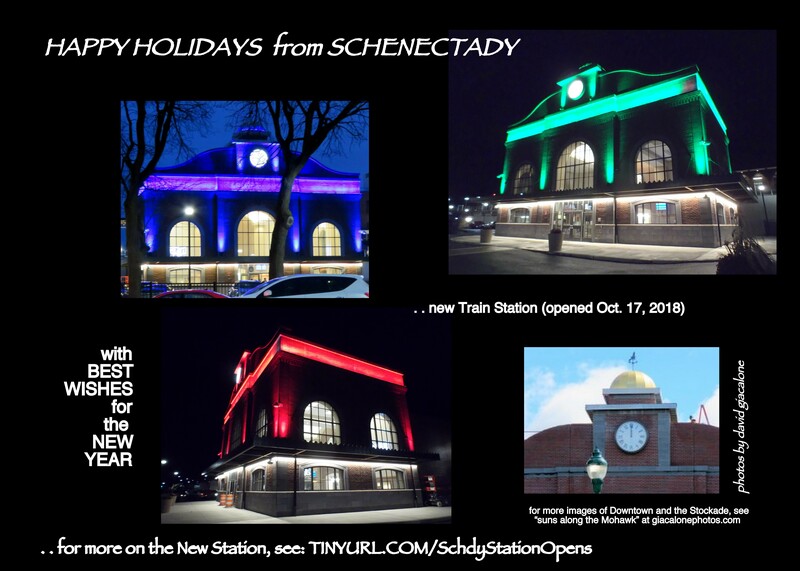 And, see “Drawing rave reviews: New $23M rail station seen as a big plus for downtown” (Daily Gazette, by Bill Buell, Nov. 23, 2018).